The southernmost wine growing region in the world, Central Otago and the Gibbston Valley consistently produce world class award winning wines. The unique climate and soil conditions combine to create the distinctive flavours and aromas that make these wines from little old New Zealand stand out from the rest. With a huge passion for making wine, a man by the name of Alan Brady first decided to produce wines in the Gibbston Valley area back in the early 1980s. Sitting on what is known as ‘Parallel 45’ (latitude 45 degrees south of the equator); everybody thought growing grapes in the Gibbston Valley was far too cold of a climate – what a crazy idea! 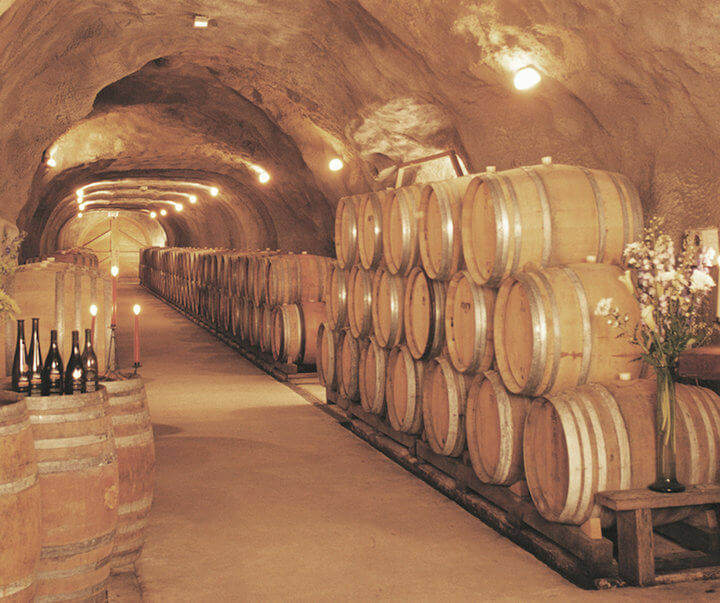 Alan Brady however was successful in his wine making endeavors and the Gibbston Valley is now well known for producing a range of unique, high quality wines including Pinot Noir, Pinot Gris, Rose, Riesling, Sauvignon Blanc and Chardonnay. As it turned out the landscapes of Central Otago were extremely well suited for growing grapes. Steep valleys combining high and low-lying areas with rich soils have meant even the regions very harsh cold winters and extreme hot temperatures in the summer months, while challenging, have not been too much of an obstacle. The seasons of Central Otago are uniquely defined with summer having long daylight hours, usually until 10.30 pm, and winter bringing foggy or frosty mornings with clear still days. Freezing temperatures are common along with snow among the surrounding mountain ranges. Gibbston Valley soils comprise of older, wind-blown (silt) formed from ice ages by glaciers grinding schist rock into fine ‘flour’ type consistency. Layers of silt are interspersed from river gravel and sandy soil formed by erosion leaving the soils mainly free-draining. Very little rainfall means reduced leaching and a good level of mineral retention, but also resulting in very low levels of organic matter. Want to taste some of the Gibbston Valley wines for yourself? Here are 5 of our favourites. The combination of these climate and soil attributes have led to Central Otago standing prominently on the world stage as a respected producer of premium and boutique wines exported worldwide.